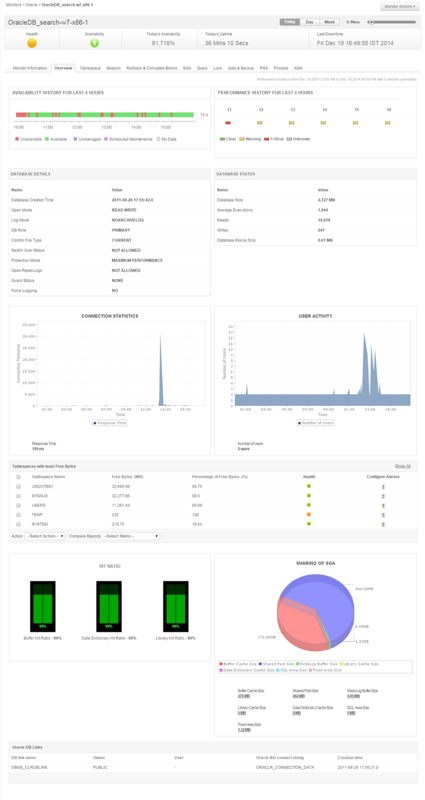 Applications Manager is an agentless Oracle performance monitoring software that provides multi-dimensional analysis, out-of-the-box oracle database monitoring reports and performance metrics to help you analyze the database server usage, availability and server health. Oracle ASM virtualizes the underlying disk storage acting as an interface between the Oracle instance and storage devices that contain the actual data. 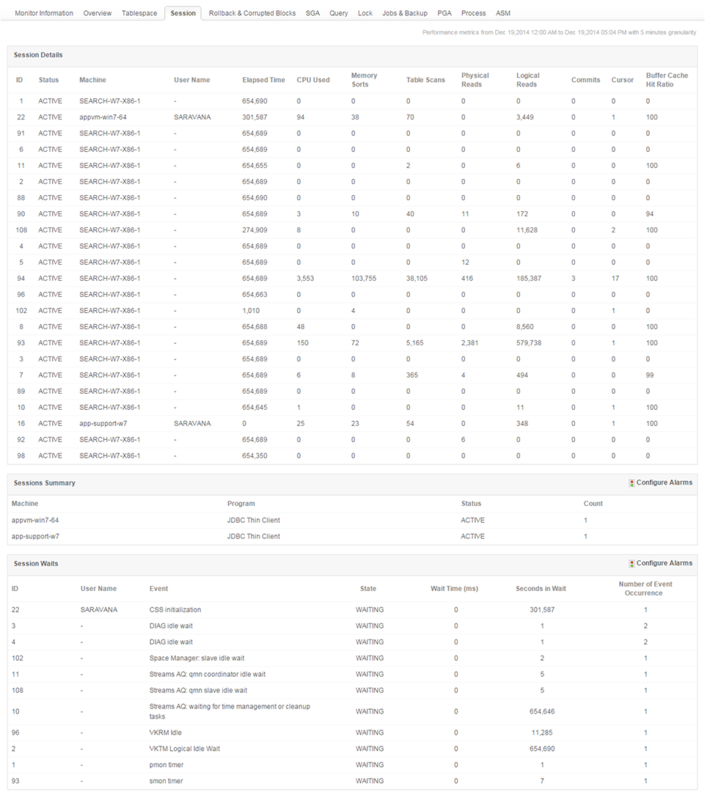 View ASM statistics graphically, with full drill-down capability to the ASM disk group and ASM disk level. 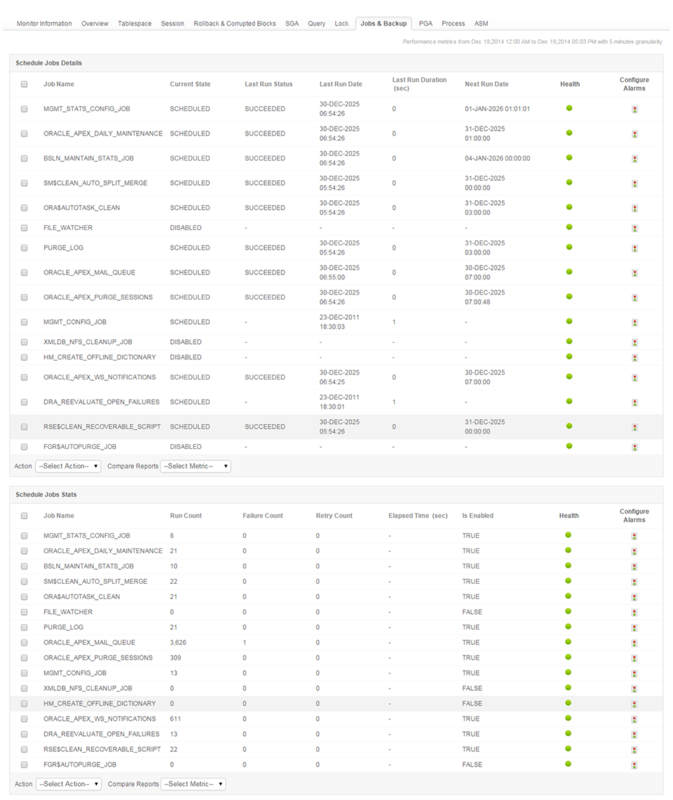 Applications Manager Database Query Monitor allows you to monitor specific business metrics, generate alarms, execute an action when it is down and generate availability reports on a single web console. This allows greater flexibility and eases day-to-day operations for the user. The Oracle Database job scheduler helps you schedule jobs to run at a designated date and time or upon the occurrence of a designated event. You can boost database performance by managing, monitoring, and controlling scheduler jobs more effectively. Some of the metrics for oracle job and backup management are last run status, date and duration, next run date, job execution details like run, failure and retry count, elapsed time, last backup time and status.